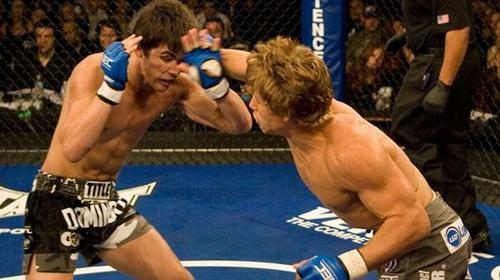 A young Urijah Faber dreamed of UFC stardom. The good news – he was a skilled wrestler and developing MMA talent. The bad news was he weighed 140lbs… and the UFC’s smallest division was 170lbs. Fightography: Urijah Faber Jan 27, 2016 (6:00) With no UFC weight classes under 170 lbs and fresh out of college, Urijah Faber was was gaining weight to make 155 lbs to fight on on Indian reservations to begin his Mixed Martial Arts career. Fast forward to becoming the WEC bantamweight champion and into the UFC "The California Kid" hits Fightography. Urijah Faber vs. Takeya Mizugaki WEC 52 Nov 11, 2010 (16:19) Former WEC featherweight champion Urijah Faber made his bantamweight debut versus Takeya Mizugaki. 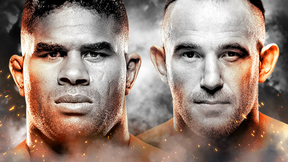 With a win, Faber would be embarking on a journey to claim another division’s title. Urijah Faber vs. Jens Pulver WEC 34 Jun 1, 2008 (37:19) Making his fifth title defense, WEC featherweight champ “The California Kid” Urijah Faber was riding a 12 fight win streak into a collision with former UFC lightweight champ Jens “Lil’ Evil” Pulver, who secured a lightning quick choke to win his WEC debut. 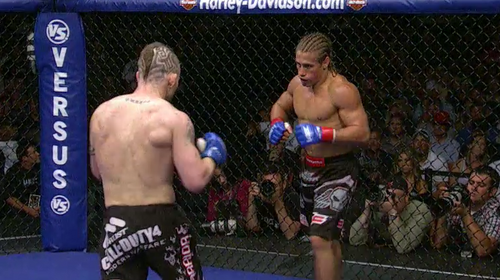 Urijah Faber vs. Jeff Curran WEC 31 Dec 12, 2007 (20:38) Making his fourth title defense, WEC featherweight champion “The California Kid” Urijah Faber, who was on an incredible 11 fight win streak, was to scrap with BJJ blackbelt Jeff “Big Frog” Curran, who had a 29-8-1 pro record and was on a six fight win streak. 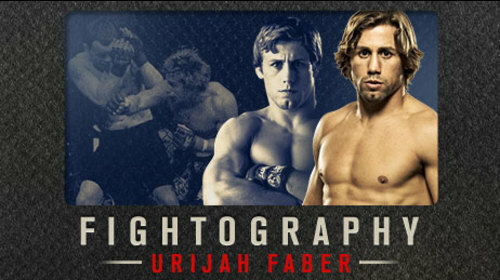 Urijah Faber vs. 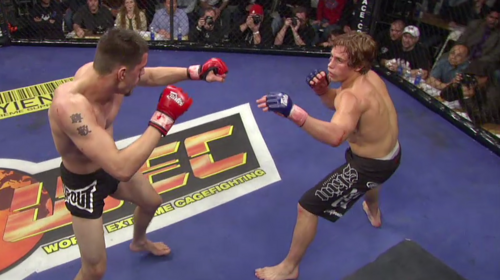 Chance Farrar WEC 28 Jun 3, 2007 (12:18) Featherweight champion Urijah Faber took on top challenger Chance Farrar. Farrar had an unblemished professional record going into the bout, but “The California Kid” had looked unbeatable in his two previous title defenses. Urijah Faber vs. Dominick Cruz WEC 26 Mar 24, 2007 (7:51) WEC Featherweight Champion Urijah Faber defended his title against the top contender in the division - Dominick 'The Dominator' Cruz. Urijah Faber vs. Cole Escovedo WEC 19 Mar 17, 2006 (18:01) Making his second title defense, WEC featherweight champion Cole “Apache Kid” Escovedo was on a four fight win streak and heading into a memorable clash with debuting “The California Kid” Urijah Faber with his 11-1 pro record and on a three fight win streak.